Government will construct more than 400 000 houses for low-income earners, with funds already available to kick-start the humongous project. President Emmerson Mnangagwa has set up a ministerial committee to lead the task, and the first tranche of funding from the Reserve Bank of Zimbabwe will be released soon. National Social Security Authority and Infrastructure Development Bank of Zimbabwe. In an interview with The Sunday Mail last week, Minister Moyo said all local authorities were identifying cites for the project expected to simultaneously revive the construction industry. He said the State will also regularise illegal settlements in towns and cities and prosecute land barons behind their proliferation. “We are working on (the housing project) with many institutions, including the RBZ. Every city, town and rural council has been told to identify land where these 400 000 houses will be delivered under a model we have created. He continued, “RBZ Governor Dr John Mangudya has assured us of tranches of finance that can enable us to start earnestly in every province. You don’t just tell the RBZ Governor what you want and get it. He does not print money. So, he will give us what he has in tranches and those tranches will be sufficient for us to start building in every city. 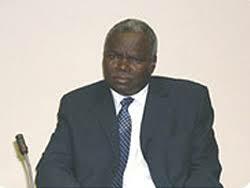 Minister Moyo said town/physical planners were compiling a report on all illegal settlements countrywide. “All our physical and town planners have been told to identify illegal settlements and then compile a report for presentation to Government. We will make sure we regularise the structures. “On the question of land barons, there are perpetrators of illegalities on one hand and victims on the other. A lot of our people are victims, so we have to look at it dispassionately, ensuring we deal with perpetrators severely, at the same time understanding that many of our people were victims of land barons. In his State of the Nation Address, President Mnangagwa spoke against land barons behind illegal property allocations that have seen irregular settlements proliferate. He implored local authorities to adhere to proper settlement models. “In the same vein, local authorities are expected to transform themselves into engines of economic growth and meaningfully contribute to improving the quality of life of all our people. “Government will insist on the return by local authorities to proper town planning practices and strict adherence to business and building by-laws.Corrupt parcelling out of land to land barons and construction of houses on undesignated areas and in a haphazard manner must stop.